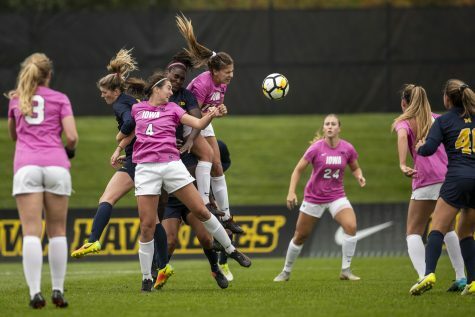 In order for the soccer team to extend its season, wins against Michigan and Michigan State this weekend are crucial. 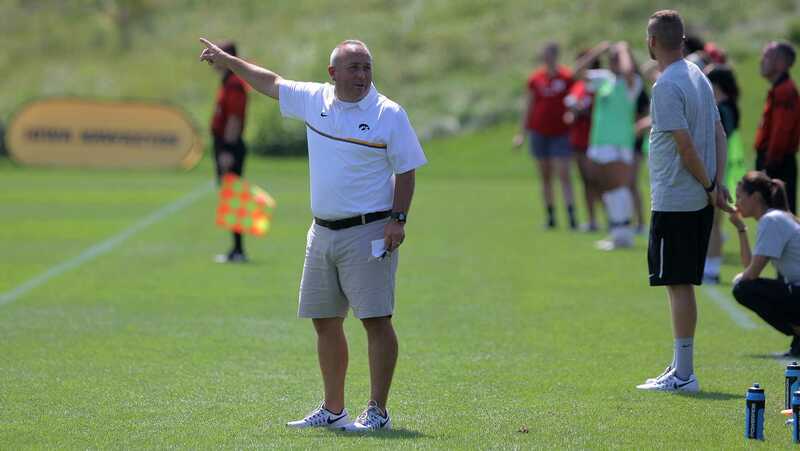 Iowa head coach Dave Diianni talks to his players during the match between Iowa and SIU Edwardsville in Iowa City on Sunday, Sept. 4, 2016. 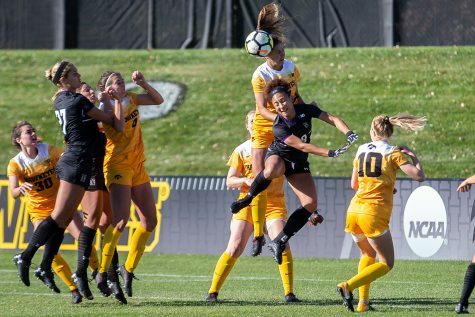 The soccer Hawkeyes are in the midst of a Big Ten Tournament hunt — and much of that hunt relies on this weekend. 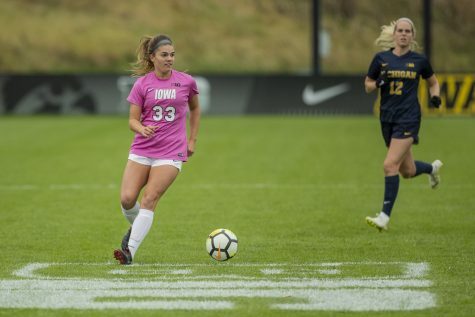 Head coach Dave DiIanni and his team will host Michigan State (0-5-2) at 7 p.m. today at the Iowa Soccer Complex and Michigan (3-4-0) at 1 p.m. Oct. 14. 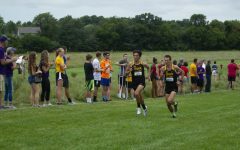 Iowa sits at a crossroads. 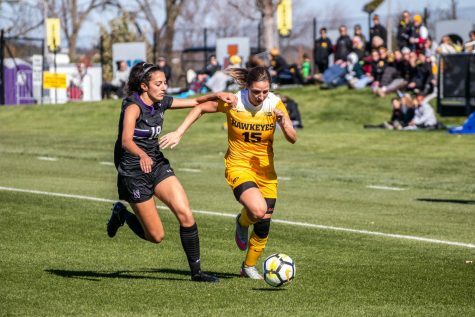 The first eight teams in the Big Ten advance to the postseason tournament, and with a 2-4-1 conference record, Iowa is in a two-way tie for 11th. On top of that, two teams are tied for ninth. Teams are in a scramble for an appearance in the postseason. 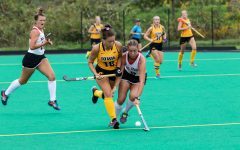 Wins against Michigan State and Michigan this weekend could propel the team to seventh or eighth place. The team is in a position for success. DiIanni’s squad is coming off the biggest win for the program since 2013. Last weekend, Iowa topped No. 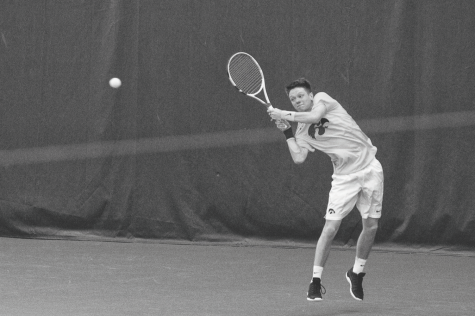 20 Nebraska, 2-1, displaying the offensive potential that has been missing most of the season. 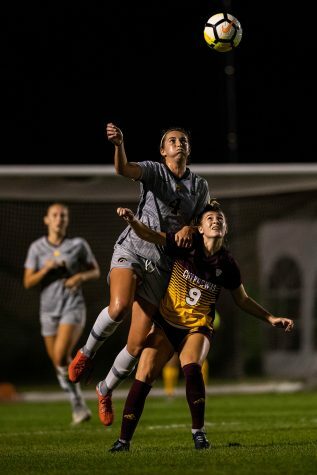 After a couple rough 2-0 losses, the win over the Huskers was an important resurgence. But the past is the past for Iowa. DiIanni said it’s time for the team to hone in on cementing its place in the postseason. 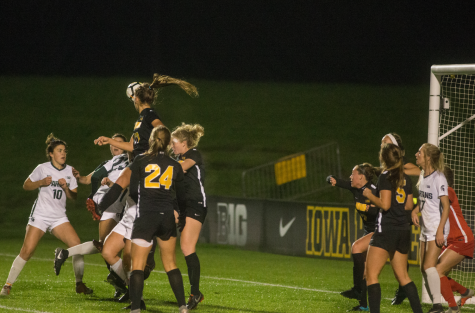 On top of the Nebraska win, Iowa has thrived on its home turf this season, posting a 5-0-2 record. 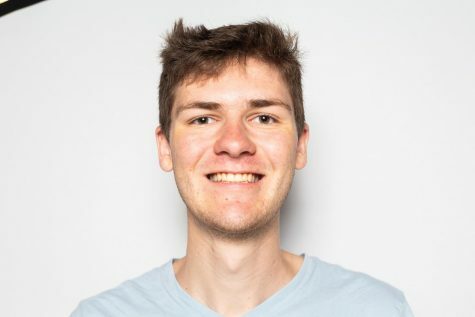 However patchy the Big Ten season may have been for the Hawkeyes, the team has been consistent at home, where Michigan State and Michigan will have to play. Michigan State may be last in the Big Ten, but it is comparable to Iowa offensively. Both teams average 1.14 goals per game. Michigan, on the other hand, averages 1.71 goals per game. 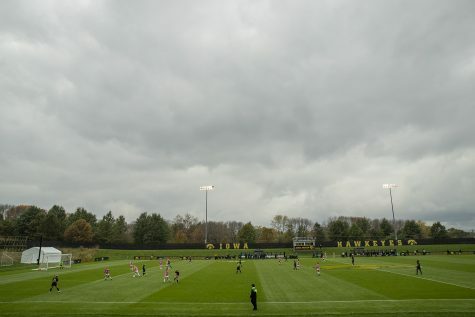 If the games this weekend don’t go in Iowa’s favor, the postseason will be nearly unobtainable.